I’m a huge fan of keepsakes from all occasions and I have mountains of stuff at home from the wedding. 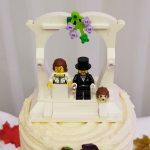 I was very keen to do something special with my flowers and had looked into a number of options. There are some gorgeous framing ideas and displays that can be created with petals and indeed full bouquets but I opted for having some jewellery made by Lost Forest Jewellery. Lost Forest is an Irish company that specialises in creating jewellery from flowers and funghi found in the countryside. 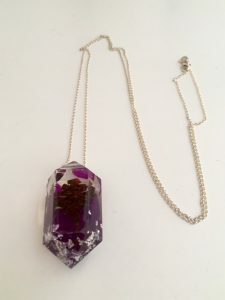 The resin that is used to make the pieces is eco and environmentally friendly and Gillian, the creator behind the brand, plants flowers to replace those that are picked for her pieces. I had looked at the company’s Instagram page and was very pleased with some of the creations I saw. 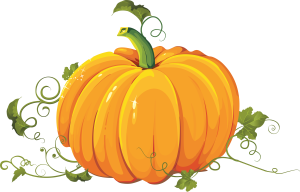 I made contact with Gillian and we discussed a number of options and decided on a design for a necklace and earrings as well as cufflinks for Mr. Pumpkin Life. The creative contact was fantastic with Gillian and she made the whole process very easy. Gillian discussed a number of ideas with me and offered advice on what would work best. I would have preferred if I had been given a price quote a bit earlier in the process but other than that, I can’t complain. My necklace cost €210, earrings were €85 and cufflinks were €65. The pieces were made quicker than I had expected which was fantastic. 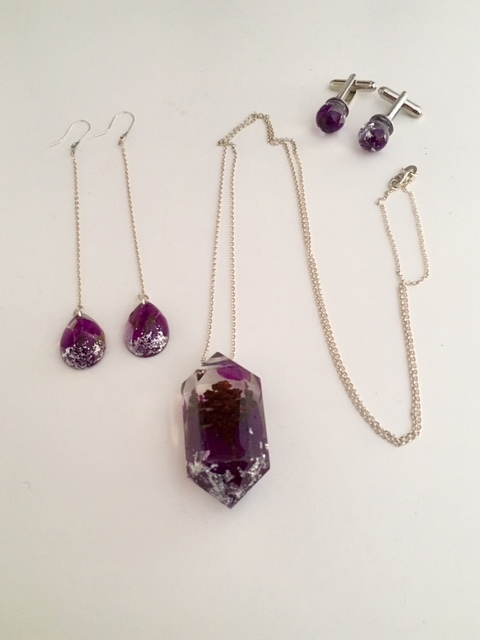 Gillian sent me a photo of my bespoke pieces before posting them to me. The items were beautifully packaged and I was delighted with my jewellery when I first opened the box. 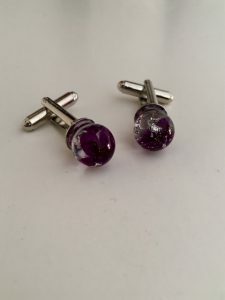 I was very excited to wear my new treasures and couldn’t wait to surprise himself with the cufflinks. Sadly, my excitement was slightly short-lived with my earrings. They broke on one of the first wearings. The hooks were very fiddly and the chain wasn’t strong enough to hold the earring so it detached from the hook. I contacted Gillian about this and sent a photo. Gillian suggested that I fix the breakage with a pliers and to get in contact with her if there was a problem. I responded to her response stating that I could fix them with a pliers, but for the money I paid I was expecting a bit more. Gillian then offered to fix the item free of charge and replace the chain but I would have to cover postage. Postage is €13 each way. Once again, I wasn’t particularly happy with the response as I didn’t feel the item was being fixed “free of charge” as it wasn’t fit for purpose to begin with. I didn’t feel that I should have to pay postage. I had a think about the situation over a few days and decided to fix and solder the earrings myself to protect them against any further problems. 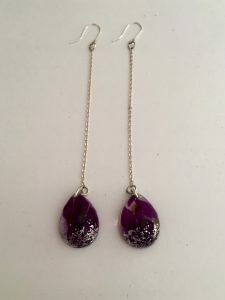 I sent an email to Gillian stating that I appreciated the offer to fix the problem by providing thicker chain but I felt that for the price the earrings should have arrived in perfect condition and stated that I want to pay further postage as the fault was not on my part. I didn’t receive a response which I found disappointing and quite frankly, rude. I felt that Lost Forest had my money now and really didn’t care. I really do like my earrings and they are better now that I have soldered them but I can’t help but feel a little worried that they will still break. I’m very pleased with the necklace and I have worn it most days since I received it. I’d be lying if I said that I’m not slightly concerned it might break too so I’m very protective of it. That being said, I may just be paranoid. The pieces are very beautiful and the cufflinks were loved. The jewellery feels very special and I’m thrilled that I have a keepsake of my wedding flowers. I’m conflicted on how I feel about the whole process which I suppose is evident from this post. In some ways I highly recommend Lost Forest, particularly for creating a bespoke memory, but in other ways I don’t because my earrings did break and I’m very disappointed in the response I received; it has sullied the whole experience. The necklace and cufflinks are fantastic and the part of the earring that contains my flowers is gorgeous so I’m trying to focus on those positives. Gillian is incredibly talented and has fantastic knowledge on how to create a special treasure but I still can’t say I’m 100% happy with everything and I don’t think based on my experience, I would buy from her again.